Things aren’t looking great for the UK economy right now; the high street is struggling, manufacturing growth is slowing and confidence in the pound is falling. And with so many unanswered questions over Brexit, we’re unlikely to see a significant upturn in confidence in the UK market until a positive trading deal has been secured with the EU. With people more reticent about spending money and businesses holding back too, interest rates remain low. So it’s no surprise that many people are looking at different investment options. Despite that fact that property prices in the UK are falling, property is often viewed as a relatively safe investment option. And, while it’s impossible to judge the perfect time to make any kind of investment, buying property during less certain economic times – and when prices are relatively low – can often turn out to be a wise decision. The good news for budding property developers is that demand for refurbished properties remains relatively high during less certain economic times. And, while property usually represents a long term investment, if you’re able to add significant value to a property in a short space of time, you can make considerable returns very quickly. 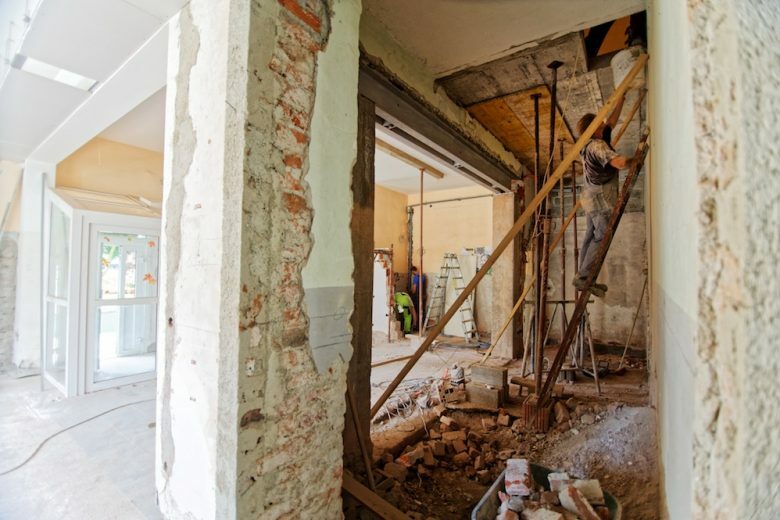 Which makes right now potentially a good time to buy a house or flat to renovate. TV programmes like Homes Under the Hammer, where houses are purchased at auction, redeveloped and sold on (usually) at a substantial profit, are a good example of the potential within the property development market. Avoid ‘face-value’ decisions – even the most pristine properties can have major structural faults which may make any repairs economically unviable. Never make the judgement yourself or get sucked into high-pressure sales; get a professional to survey the property. Find the right location – while you can’t control the housing market, you can control the location of your next property purchase. Find a property that ‘has potential’ in a sought-after area to maximise your chances of a quick sale following redevelopment. Check that ‘potential’ can translate into a healthy return – you may be able to see the potential to transform the aesthetics and comfort of a living space, but will the space be able to deliver a good return on investment for you? For example, extra bedrooms add more value than any modernisation work you are likely to undertake. Do your homework – if you can, get quotes from contractors before you make a purchase. What will the approximate cost of the improvements be? Where possible, do work yourself, but bear in mind any safety certificates that are only available through an approved contractor. Don’t waste money on work that won’t add value – focus your money on getting a great return on investment. Buy from a trusted source – buying from an experienced and trusted agent like Andrews helps you to minimise risk, while having the benefit of professional guidance throughout the buying process. Above all, it’s important not to make any hasty decisions when making any major purchase. Ensure you are well informed, and if in any doubt find help from someone who can guide you on your way.